Can i transfer my license if i change the computer hardware like cpu/mb or if the pc dies? Re: Is the license transferable? 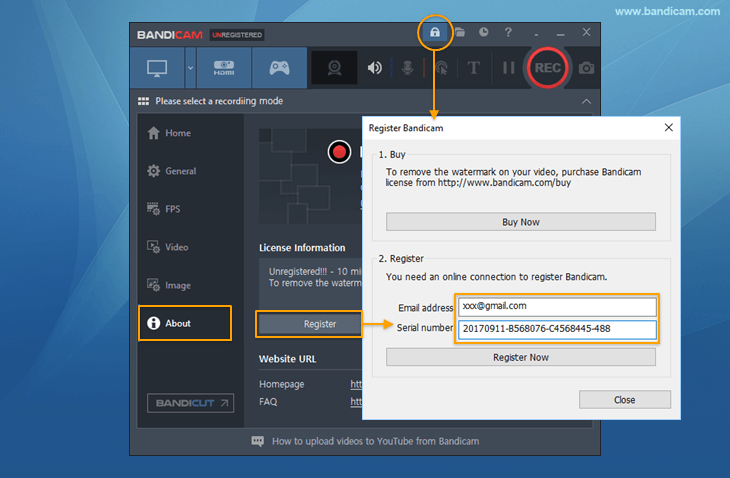 If you uninstall the registered Bandicam, you can re-use/transfer the license to another computer. If you format your computer or your computer is broken, you can re-use/transfer the license. I bought a 2 computer license, but only installed Bandicam on 1, which recently crashed & got reformatted before I could uninstall it. I need to know how to re-use the license, or, since I never installed it on a second computer, will it still be good? All I could find from the re-use/transfer quick link was a screenshot of how to buy the product initially-no mention of how to re-use/transfer the license. What do I do? In other words "If you format your computer or your computer is broken, you can re-use/transfer the license." How? I have all the licensing info, serial number,etc. I just need to know step by step what to do. I bought a 2 computer license, but only installed Bandicam on 1, which recently crashed & got reformatted before I could uninstall it. => In this case, you can register the license up to 2 computers if the computer was totally broken.